The following is an edited excerpt from comments made by Réal Cloutier to the Winnipeg Regional Health Authority's quarterly senior leadership forum on Oct, 24, 2018, upon being confirmed President and CEO of the WRHA. The transformation of the health-care system is well underway in Manitoba. The Board of Directors of the Winnipeg Regional Health Authority and I are committed to supporting this system-wide change and ensuring that we excel in our role as a service delivery organization. As a part of that overall transformation plan, we have undertaken a number of changes within the Region, all of which are rooted in a vision of driving quality and innovation to become the most improved health region in Canada. Implementing Phase I of the Healing Our Health System plan, the largest change to Manitoba's health-care system in modern times. Balancing our budget in 2017/18, the first time we have been able to do this since 2011. Improving on key flow metrics (including emergency department wait times and personal care home waits) as we work towards achieving the Canadian average. Working with staff to help them through this major change process and to support our commitment to job opportunities in the system. We continue to see job opportunities in our health-care system as we make these changes. Proactively engaging with our staff and community partners. We haven't been perfect, but the lessons gained through our experiences are being applied at every step in the process. While we recognize our success to date, we must remind ourselves that we are in the middle of a period of unprecedented change. We have staff who are worried about where they are going to work, and many staff who are worried about their safety while at work. Some remain worried about many of the changes we are making. And the expectations to deliver on the realization of our vision have never been higher. Quality and Safety: This simply has to be core to our being. We need to approach quality and safety at two levels. As a system, we need to discuss and agree upon our quality and safety gaps. We can't do that alone. We need to engage our staff - nurses, physicians, allied health professionals and support staff - to implement a conscientious, sustainable process that improves quality and safety by every measure. Much of our staff is already heavily engaged in the effort to improve quality and safety. Some recent examples include the resuscitation team simulations being carried out at St. Boniface Hospital, the daily safety huddles at Victoria General Hospital and the patient service plans being developed across the Region for mental health patients. All three of these initiatives were singled out for praise during national Patient Safety Week this year. You can read more about these initiatives in this issue of Wave. Sustainability: As I have noted before, this is not about health-care cuts. This year our budget base increased by two per cent. This is about preserving and strengthening quality health care that we are able to provide for people today, and for generations to come. If there's one lesson we should all understand by now it is that we cannot spend our way to better health-care outcomes and system performance. We must continue to focus on the most appropriate, evidence-based resources to deliver on good outcomes. One way we can do this is to make sure we support patients in an appropriate home environment as opposed to institutional environments, recognizing that each part of the system has an important role. We must also work to ensure that business cases presented for various initiatives must demonstrate the ability to redirect savings or reduce our overall cost of providing a service while providing quality care. Indigenous Health: Our commitment to Indigenous health is one of the underpinnings of health transformation in Manitoba. We just passed a sober milestone: 10 years since the death of Brian Sinclair, who came to us in need of care and did not find it. Marginalization, exclusion and our perceptions and biases about Indigenous peoples can have no place in health care, and need to be addressed. Together, we must make real progress on the Truth and Reconciliation recommendations and on finding our way to advance changes in the Region. We in Winnipeg can and will contribute to advancing our work in this area. Wait Times: We are well familiar with the most public and scrutinized aspects of health care, and barometer of change - wait times. 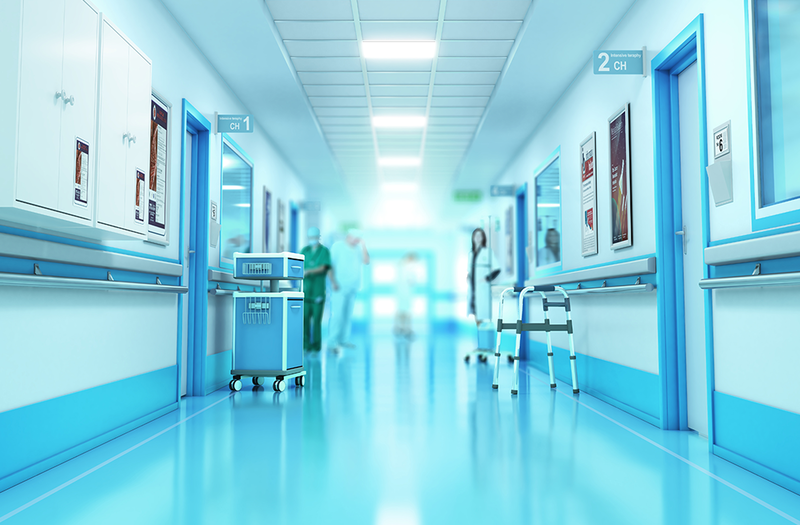 We must keep up our concerted efforts to identify and deal with our process issues in all areas of health care, including pre-hospitalization, in the emergency department, in the facility itself, and post-hospitalization. We have seen improvements, but we don't yet have consistency. At the end of the day, everything that I've talked about here is designed to help sharpen our focus as we continue to strive towards building a patient-centred health-care organization. Our patients aren't concerned about our structures, our plans and our challenges. Nor should they be. They want - and deserve - to get the best health care possible, when they need it most. Our new tagline "Better Health Care, Sooner" says it all. The biggest risk we have to our public health system is our inability to be relevant to those who need our help. The biggest opportunity we have is to be a part of the effort to revolutionize health care for Winnipeggers today, and for generations to come. As President and CEO of the Winnipeg Regional Health Authority, I am committed to supporting an ecosystem that encourages and fosters the kind of change that will move us forward to support excellent patient care and a healthy population. While we are striving to reach the Canadian average in some key performance areas, we can and should be better than average as we work towards improvement together.